We use Meteofrance to check the weeks forecast as it’s the most accurate we know. If it says it will snow at 2pm just as you’re finishing lunch on the piste then it usually does! Webcams are installed over the three valleys on the ski areas and in the ski resorts. Webcams with live cam panoramic, full HD Webcam with zoom lenses and films. They show live snow and weather conditions and help you to plan your holiday and day skiing. A great way to get exited about your holiday is to check out the snow before you arrive. 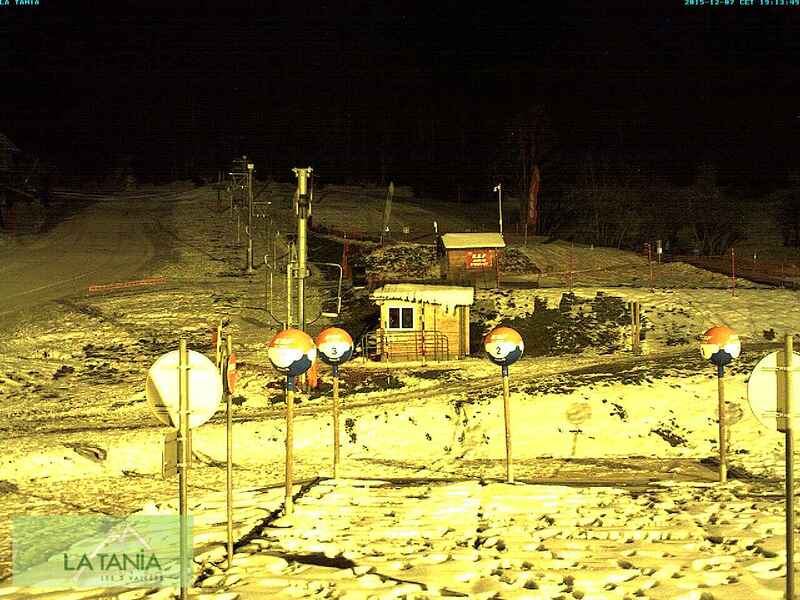 We have three links below that give you access to webcams throughout the three valleys from resort level to the peaks. Located from La Croisette, La Saulire, Le Signal and L’Altiport. Located from a range of webcams. Head for the pistes that go through the forest – tree-lined runs. They provide definition and better spatial awareness. The home runs to La Tania and Le Praz are the perfect place to spend your bad weather days! Follow the piste markers. Poles on the right of the piste always have an orange top. By following the orange tops down the mountains you will know you’re the correct side of the piste marker. Make a plan. Take a piste map and plan your route so you know whether you should be looking out for green, blue, red or black piste markers! Ski with others. Skiing near other people helps orientation as to where is up the mountain and where is down. Stick together better to get lost with someone else than on your own! Choose the right goggles. Most goggles have two lens options: one for clear, bright days and one for flat light. Ensure the flat light lens in when the visibility is bad as these let in more light. They will help with the definition of your surroundings.